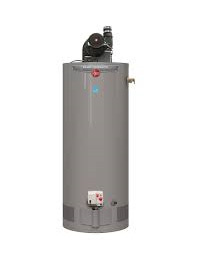 Gandy Installations offers a number of different options for water heaters, from standard hot water tanks, to condensing tankless on-demand systems. 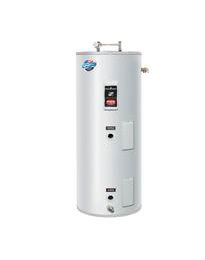 We carry a large selection of reliable, contractor grade water heater brands to choose from including: Bradford, Rheem and Navien. While each system varies in efficiency, several have rebates available through Fortis BC. 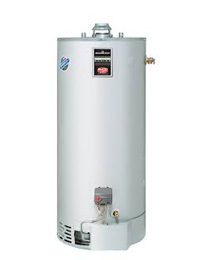 The expected life of a standard water heater is 8 to 10 years. 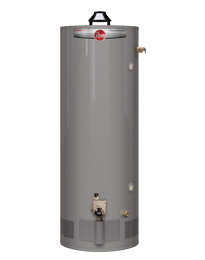 If you have noticed that your current water heater is not producing the amount of hot water that it used to, or if there are signs of water or rust around the unit, it may be time to replace it. Our prices are all-inclusive. Included in the price of all our water heater installations is the cost of any small fittings required, the cost of the gas permit as well as the removal and disposal of your old water heater. We also take care of any rebate paperwork for you. Bradford White electric water heater! 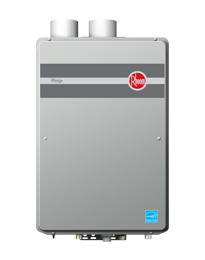 Rheem power-vented gas water heater! 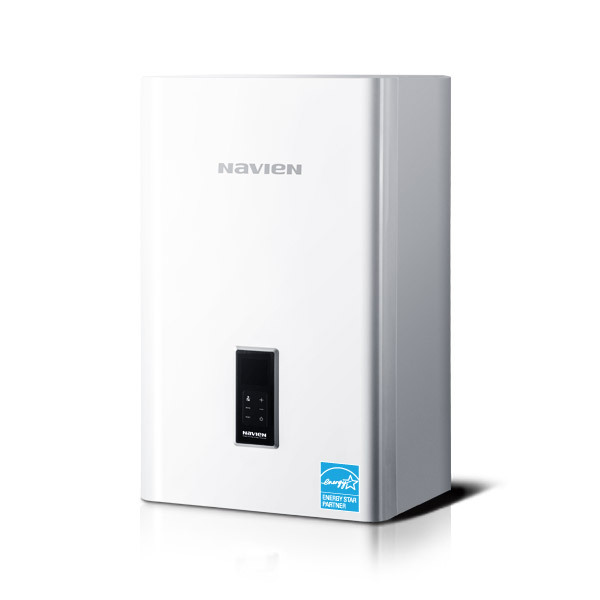 97% Efficiency industry leading tankless water heater technology! 95% Efficient heating and hot water Combi unit! 94% Efficient tankless water heater! 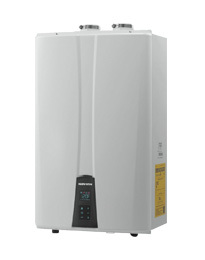 Standard efficiency gas water heater with powered damper technology!